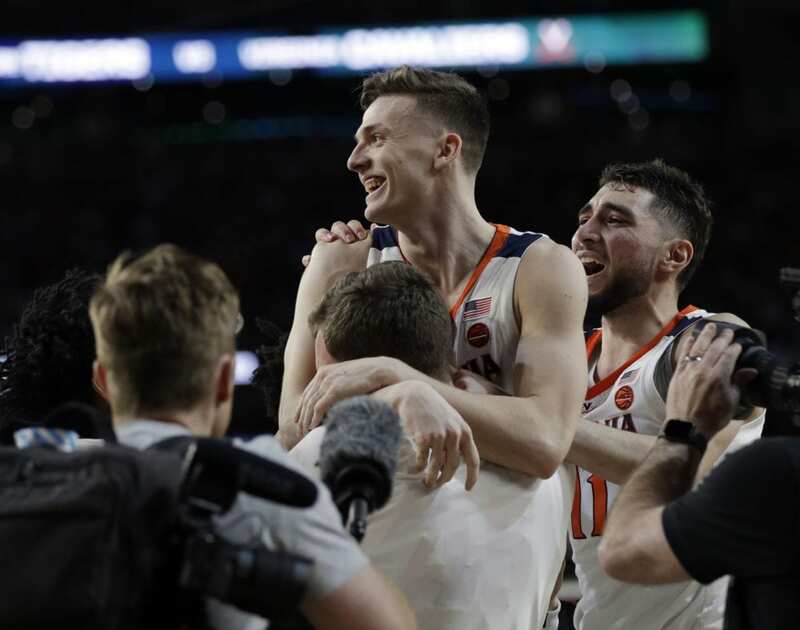 MINNEAPOLIS (AP) — From one-and-done to NCAA Tournament miracle men, Virginia is going to the national championship game for the first time after pulling off another last-second stunner on a disputed foul with 0.6 seconds left. A year after becoming the first No. 1 seed to lose to 16, these top-seeded Cavaliers now look like destiny’s team. 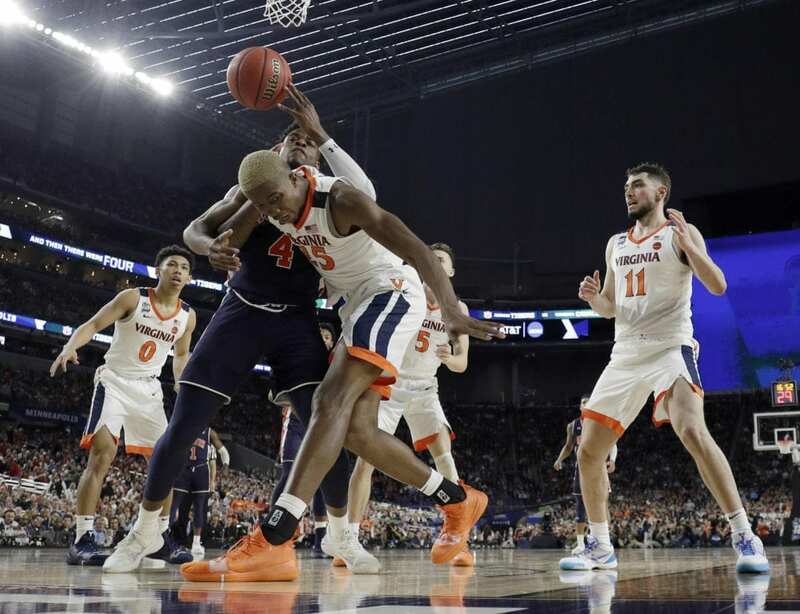 Harper made one and Auburn, with fouls to give, did so twice. 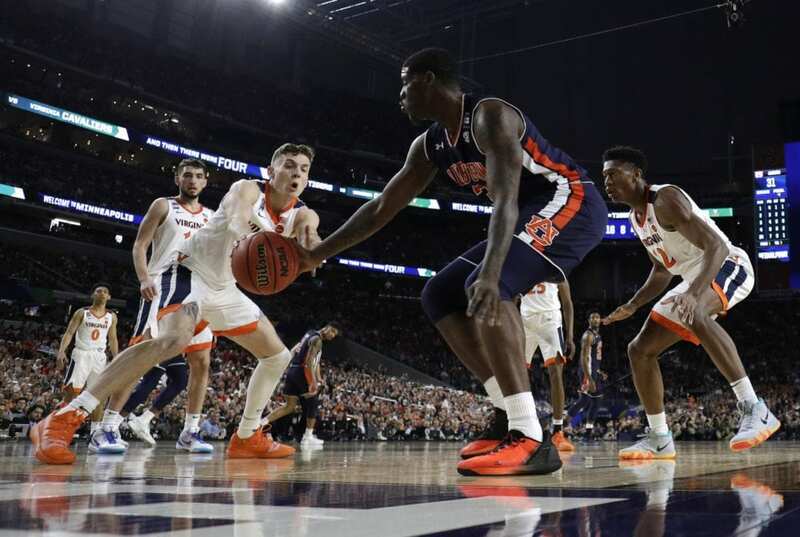 With 1.5 seconds left, Virginia (34-3) got the ball to Guy in the corner. He turned and fired and Samir Doughty, hands straight up in the air, bumped into Guy’s hip. 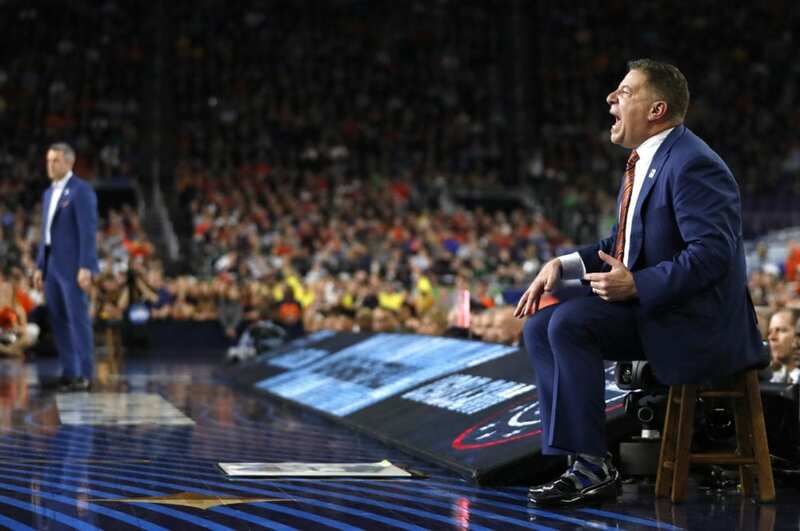 Guy swished the first two free throws to tie it and Auburn called a timeout to ice him. Didn’t work. He hit one more for the lead. 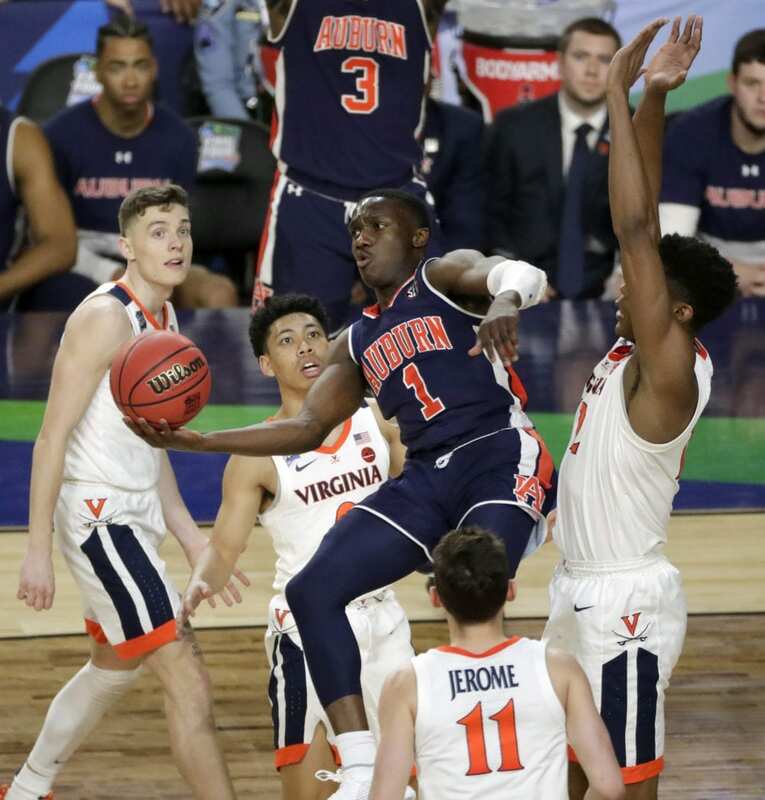 Auburn threw a long inbound pass to Brown, but his desperation 3 was short. 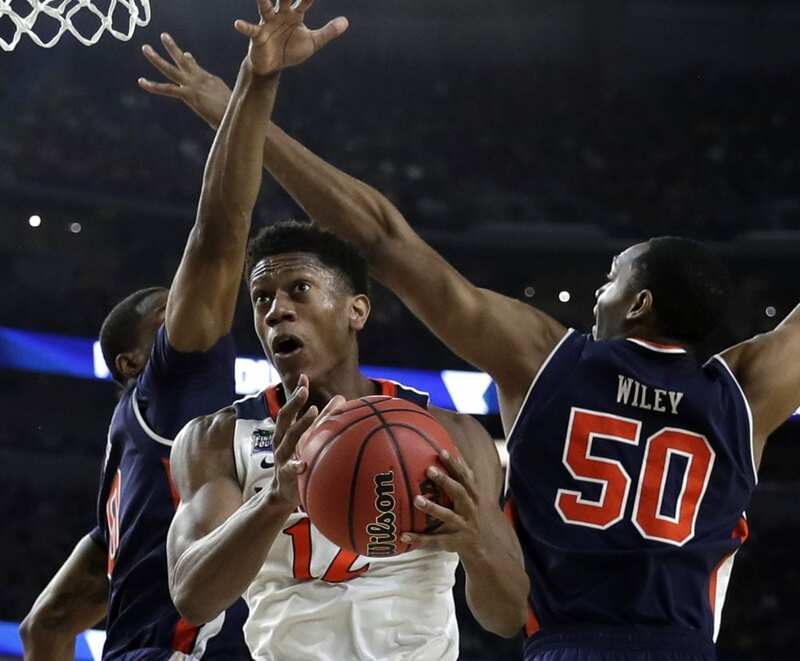 Jerome scored 21 points for Virginia and De’Andre Hunter had 10 of his 14 in a stellar second half. 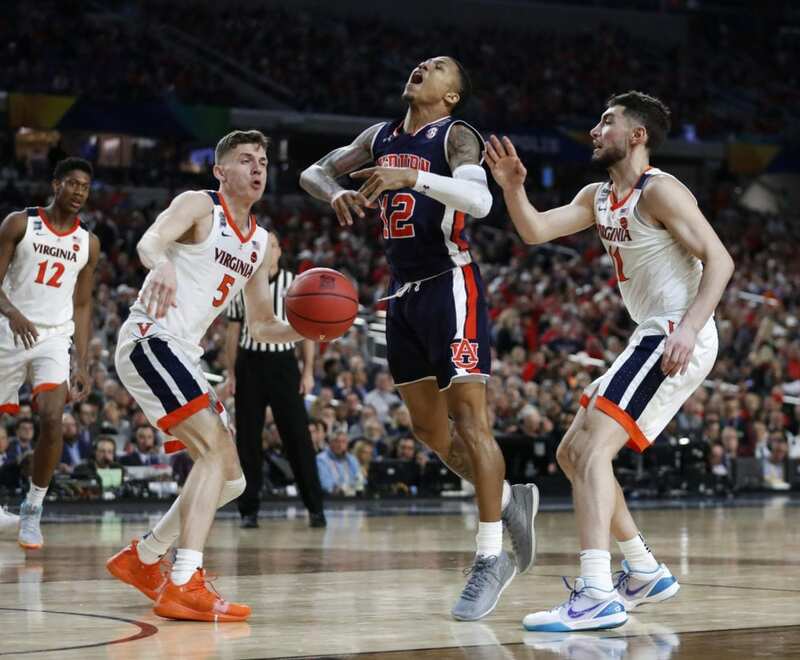 Be the first to comment on "Guy Hits FTs On Disputed Foul, Virginia Shocks Auburn 63-62"